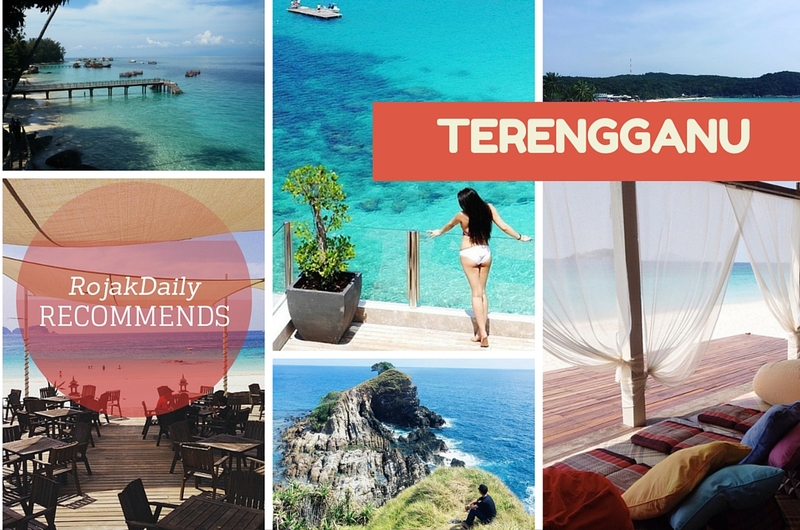 It's visit Terengganu month and we're giving you a preview of all the beautiful islands you need to see. 4. Most resorts are closed for the monsoon season from November to January. It’s 6km off the coast of Marang town, making it easily accessible – also making it a confusing mess of a million boatmen waiting to take you there. There are boatmen who are willing to take you on day trips as well if you’re willing. Prices will vary because of the economies of scale and gullibility. 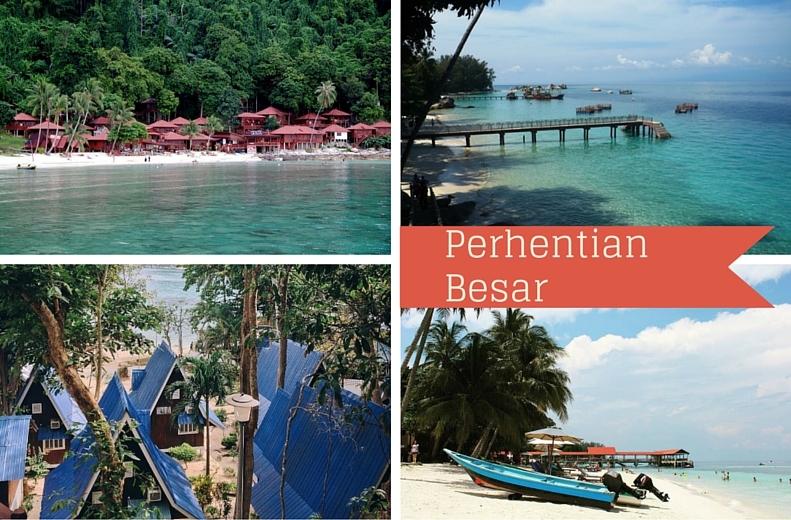 Because of its size, the island is popular among backpackers and is less commercial compared to Redang and Perhentian. 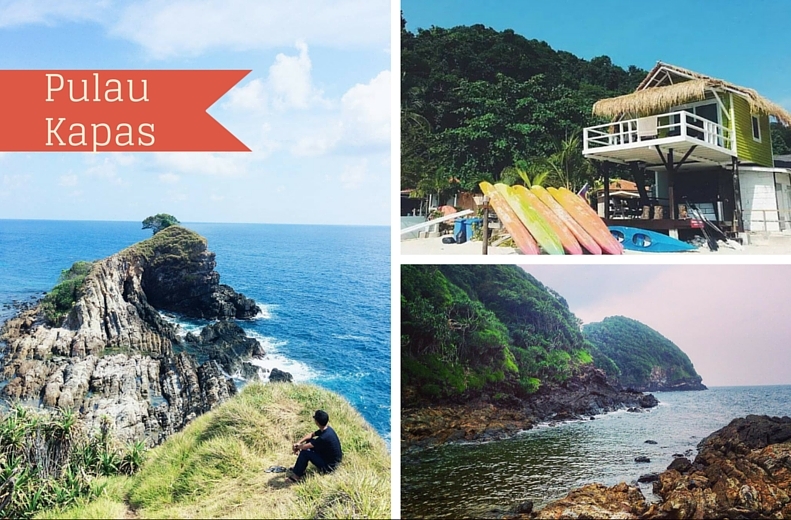 Unlike the other islands off the coast of Terengganu, you can do day trips to Pulau Kapas. If you’re in Terengganu and don’t have the time for a full tour of the island life, a short getaway to Pulau Kapas could be your answer. It is also well known for its squid jigging activities (squid fishing), turtle spotting, snorkeling and scuba diving, and jungle trekking. Apparently they cost RM40 for a return trip. Let this be a reference only. Being a relatively small island (about 2.5km from end to end) there is a surprising amount of options for you to stay at. Tripadvisor provides mixed reviews about all the establishments but we’ve picked the ones you should stay at based on how pretty they look… because the internet. One of the cheaper options we’ve found online, KBC is a no-frills chalet on the beach that doesn’t come with air-conditioning. 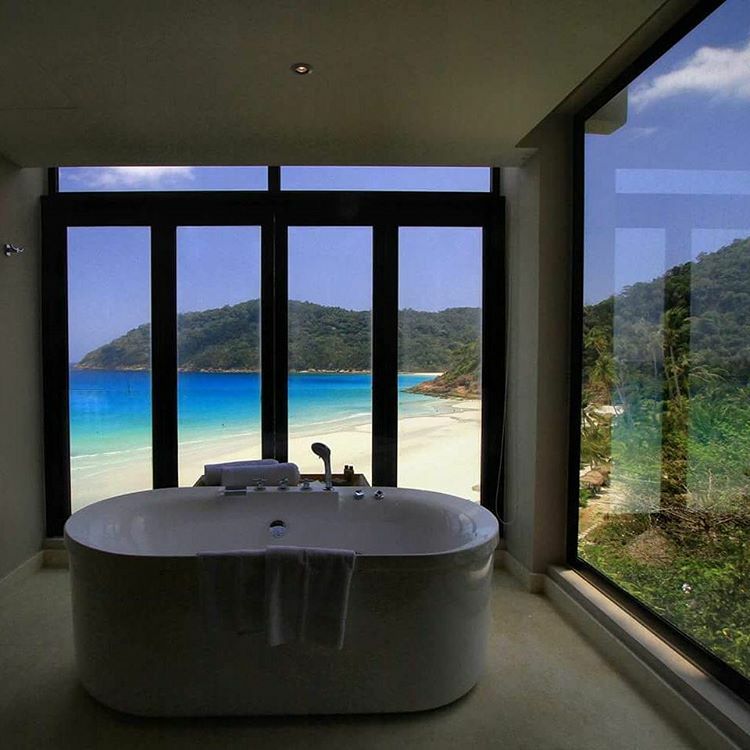 Some chalets don’t even have sinks. Some reviews online say the attached restaurant serves good food. We can’t find a website. 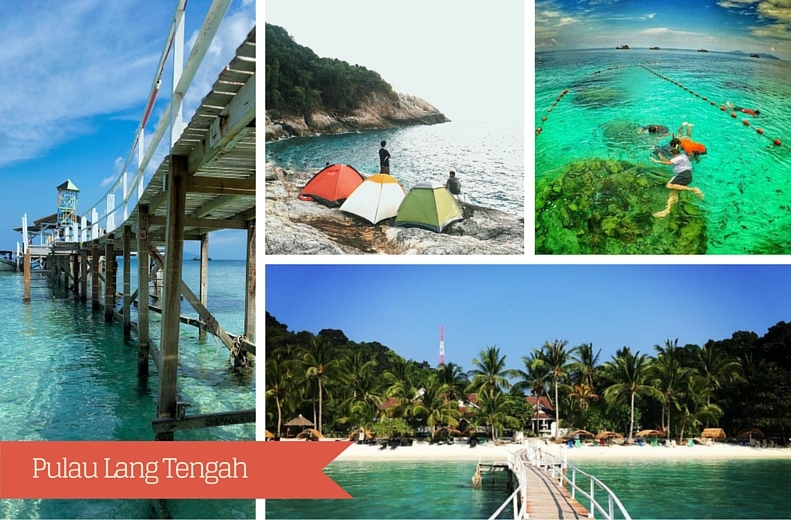 Located 45km from Merang Jetty is the largest island on our list, Redang. It takes 40 minutes by large speedboat or ferry and is usually priced at RM40/RM80 for one way/return. There is a possibility for day trips, but you’ll have to figure that out at the jetty. You can get there by plane as well, operated solely by Berjaya Air. Be advised it is a private jet with a seating capacity of nine people only and the estimated price for one adult on the Bombardier Challenger 300 is USD 12,905 or RM 52,931.15 (at time of writing). Being the biggest island on the list – and most commercial – options for staying and diving are the most varied here. 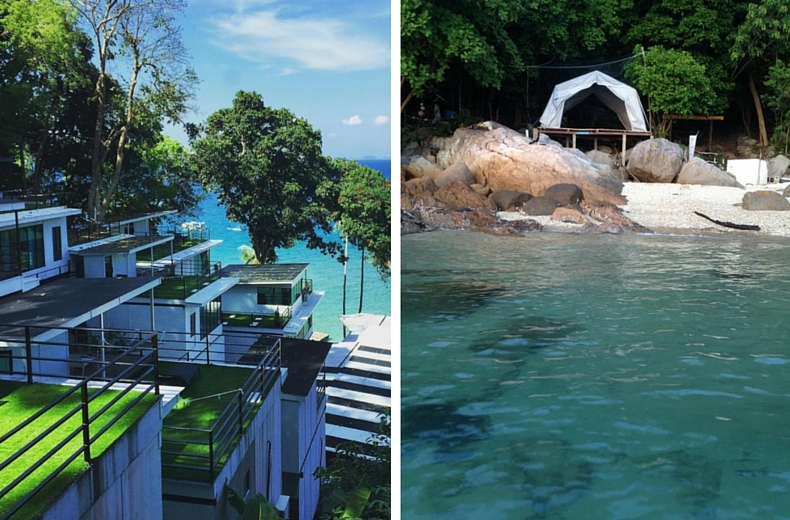 They want to position themselves as more upmarket than the other islands but you can find affordable stays in Redang as well as the opulence of The Taaras. Being a resort island also means that basic comforts like air-conditioning and hot water are a given, with Wi-Fi access being the only unknown variable. Serial Instagrammers from overseas should purchase a phone plan if they intend to post anything online. 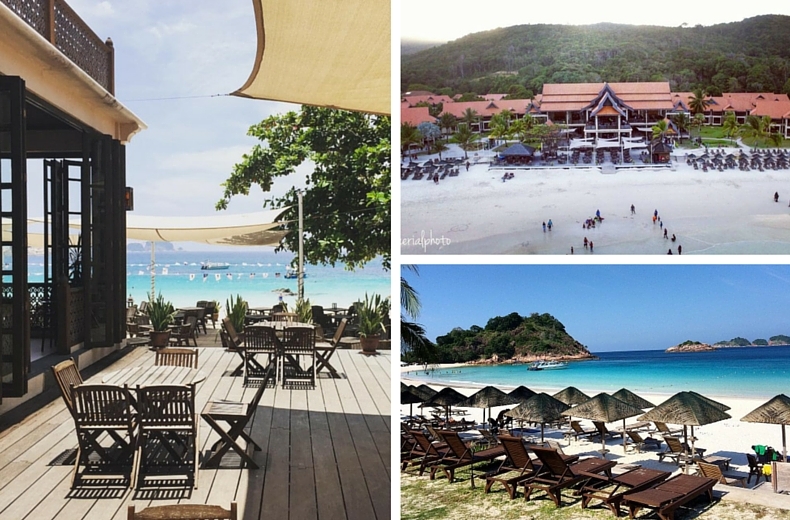 It’s located somewhere between Pulau Perhentian and Pulau Redang and there are only four resorts on the island. It is 30 minutes out from Tanjung Merang (note: not to be confused with Marang) and departures are fixed daily at an estimated RM95 return. The four resorts on the island come attached with their own private beaches, some more pristine than the other. 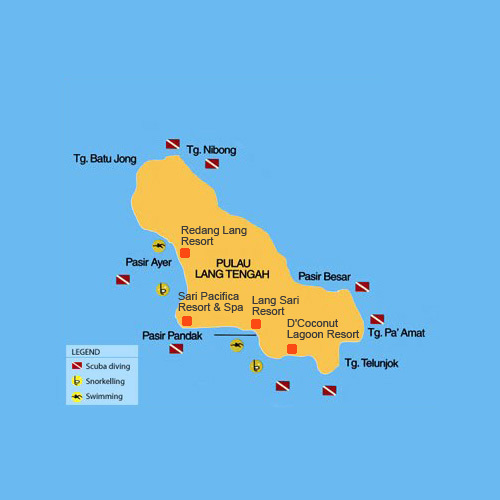 On top of this, Lang Tengah has three snorkeling locations and 8 scuba diving locations. If you’d rather not have to deal with the crowd that will (most definitely) be at Redang, head to Lang Tengah. As a bonus, you also have the option of visiting diving spots at Redang on top of the ones in Lang Tengah so there’s that. The main mode of transportation is by speed boat from Kuala Besut jetty, don’t go to Tok Bali which is illegal. It is about 19km off the coast and the trip will take you 30 – 45 minutes. It costs an estimated RM70 per pax for a return ride on the boat. There are water taxis that will take you between the two islands should you find yourself on the wrong side. 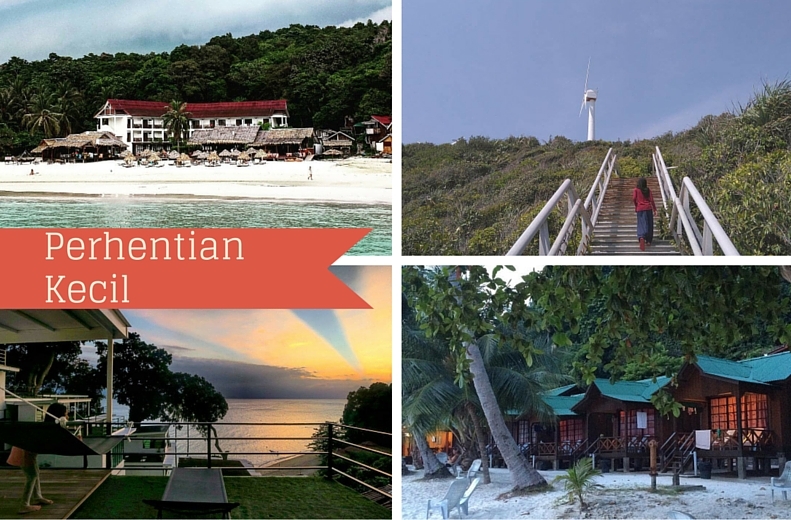 With the proliferation of options for stays and the amount of coral reefs and deep diving options, Pulau Perhentian will most likely overtake Redang as the most popular destination in Terengganu’s coast. There’s a huge party scene for the wild young ones, a good spattering of resorts for families, and enough private getaways for couples on honeymoon or affluent folk who just want a quiet getaway to sip their Luwak Coffee. There’s a chance for you to see sea turtles, several species of sharks, and various underwater paradises. 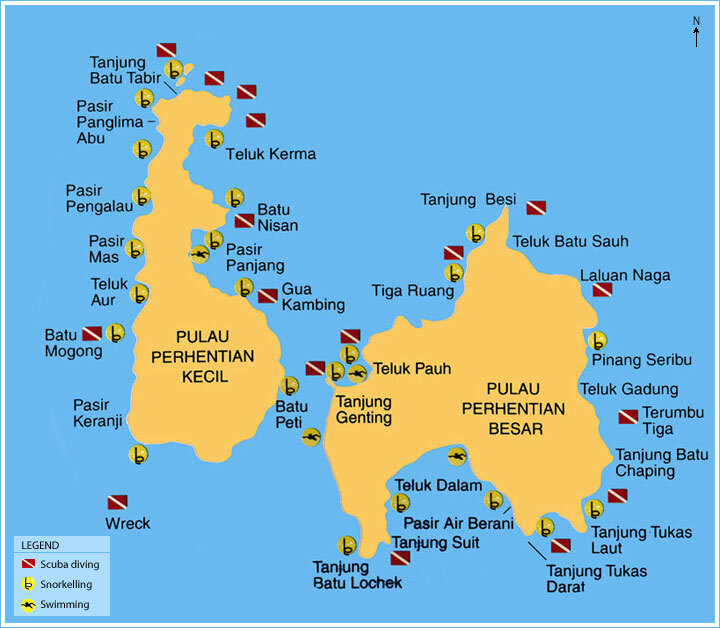 There are also many dive centres on the island and most are available through the resorts. Moonlight Chalets – various accommodation, 24 hour electricity, dorm beds, small chalets with fan to air-conditioned rooms. Oh La La’s – opened in 2010, is a budget accommodation with a shared bathroom but private rooms are available. They have their own restaurant and bar so come with earplugs because the party don’t stop. Panorama Chalet & Restaurant – offers a variety of rooms from couples to families with air-conditioning and free dinners depending on the package. 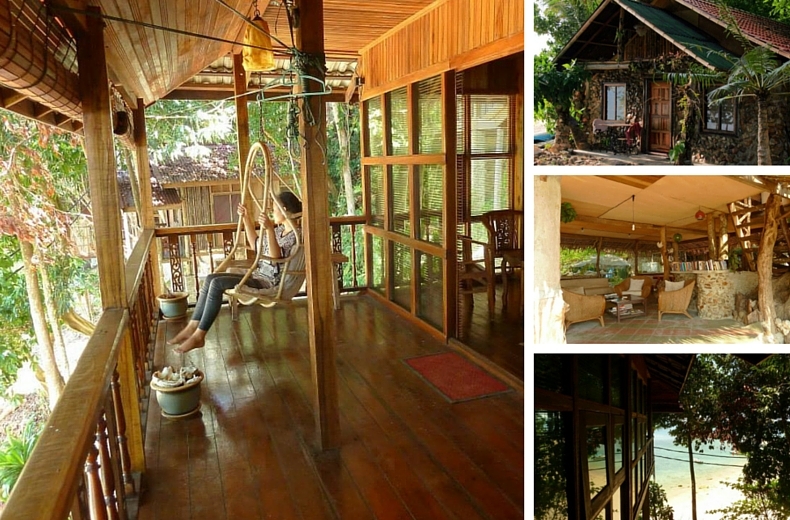 Symphony Chalet – wooden huts on the beach go for RM40 with a shared bathroom. Electricity is available from 7pm – 7am and mosquito nets are provided. Matahari – family oriented resort with fan to air-conditioned rooms available. Priced from RM30 onwards. Mohsin Chalet – multiple blue-roofed chalets that offers various rooms from dorms to private rooms with fan to air-conditioning. There’s Wi-Fi at the restaurant if you’re dining and there are band performances. Rock Garden – among the best places to watch the sunrise, all the rooms face the sea and are near the beach. Rates are inclusive of snorkelling and offers all inclusive meals. The more peaceful side of the island has fewer bars but the same amount of cheap accommodation. Ewan’s Place – simple chalets built away from the beach with basic amenities. Clean rooms with fan and attached bathroom. Ewan’s Café apparently serves really good food. Ombak Dive Resort – housing a dive centre, restaurant, and lodging, Ombak also offers dorm stays. The larger of the two islands caters to families and avid scuba divers. Teluk Dalam is the quieter beach while Teluk Pauh is where most of the resorts are. Most packages are booked online and offer full board. Otherwise, it’s walk-ins only. Fauna Beach Chalet – located next to Flora Bay, the chalet offers rooms with fan and rooms with air-conditioning. There’s a restaurant that serves local, Thai, and Western food. ABC Guest House - ABC is a barebones longhouse-only operation in a creaky two-story building. D’Ayumni House – perfect for a small budget. There are dorms, quad rooms and regular rooms. 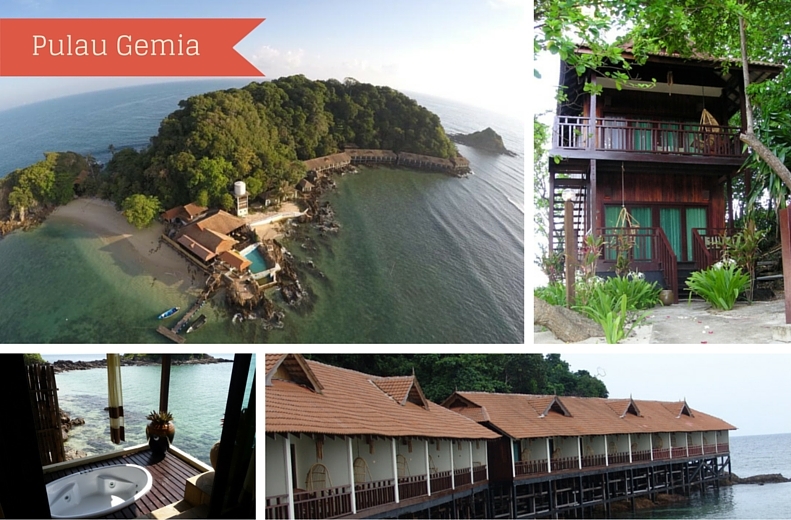 Coral View Resort – fairly large resort at the edge of the bay decorated and built with Malay-style architecture. There’s fan or air-conditioned rooms, no kettle or TV, and there’s a restaurant. Strictly no alcohol though. 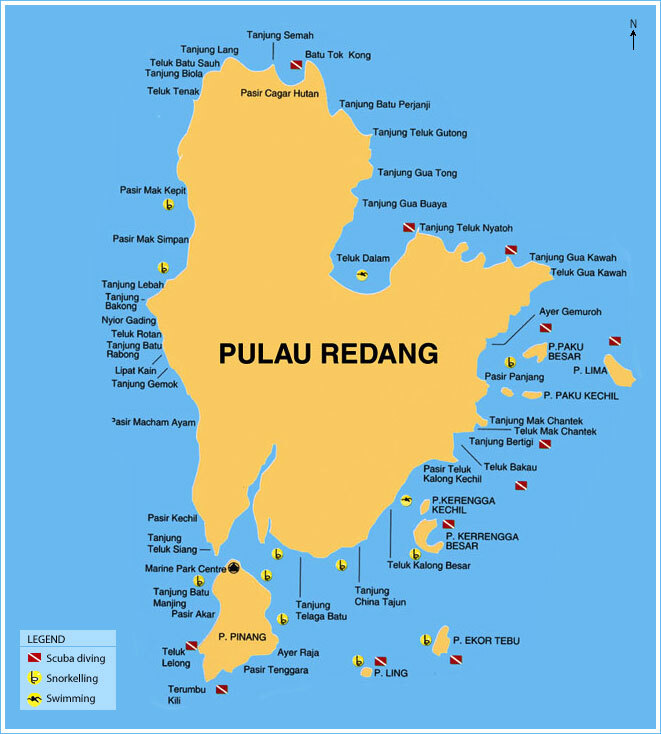 The island is the southernmost island along the coast of Terengganu. Head to Kuala Dungun in the south of Terengganu and it’s another 45 minutes off the jetty. From the looks of it – and the reviews on TripAdvisor – Tenggol is one of the best places to scuba dive in East Malaysia: unspoiled waters, diverse marine life, and best of all, no large crowds. There are multiple reports of a whale shark in the area, around March and April and August to October (whale shark not guaranteed). 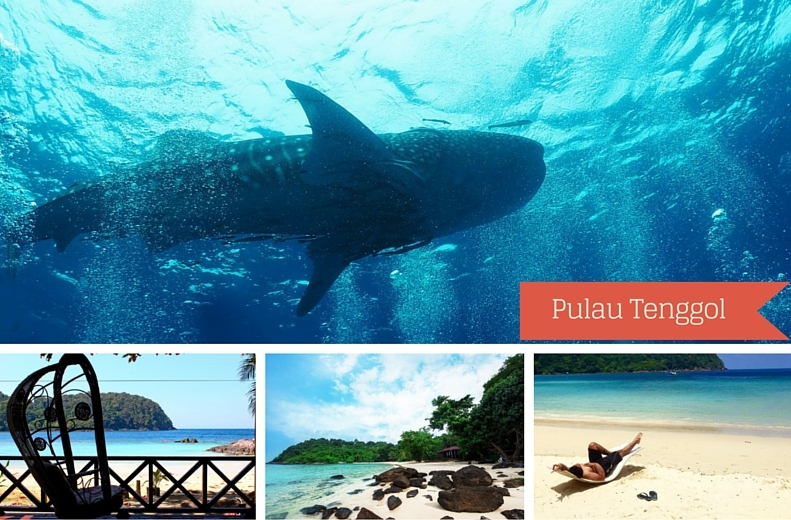 With only two resorts on the small patch of land (2 – 3km) a plethora of diving sites to choose from, Pulau Tenggol may just be the best place in the list to really enjoy a spot of diving or snorkeling. Located in a Marine Conservation Park, Gem Island Resort and Spa is the only resort on Gem Island and is located 15 minutes from Marang Jetty. 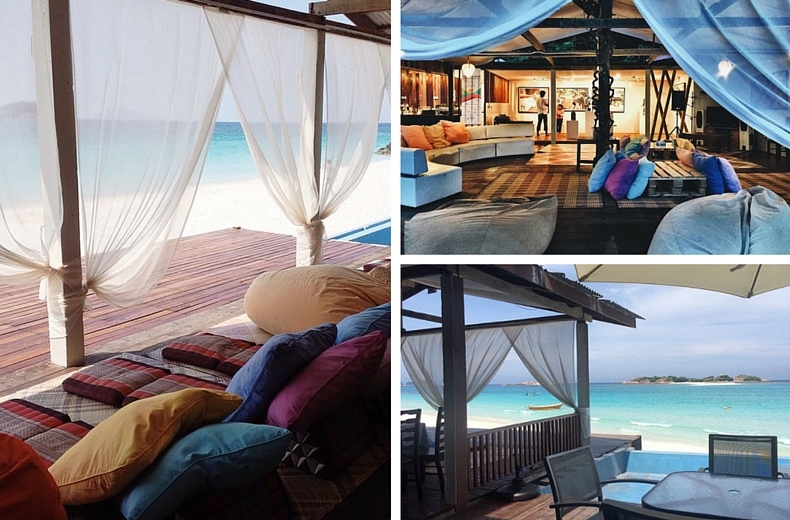 It is the only private island getaway along the coast of Kuala Terengganu. The private island owned by Gem Island Resort and Spa houses 45 sea front villas and offers all the fixings of a luxury getaway. There are three villas: Water Villa, Premier Villa, and Hideaway Villa. Priced from low to high respectively. There are three private beaches around the island and you can even get a kayak to take you to neighbouring Pulau Kapas. It is 45 minutes away from Merang jetty and there aren’t many boat tours to the area. The land is 260 ha in size and was once the most heavily populated place on earth in a flat area slightly larger than a football field. 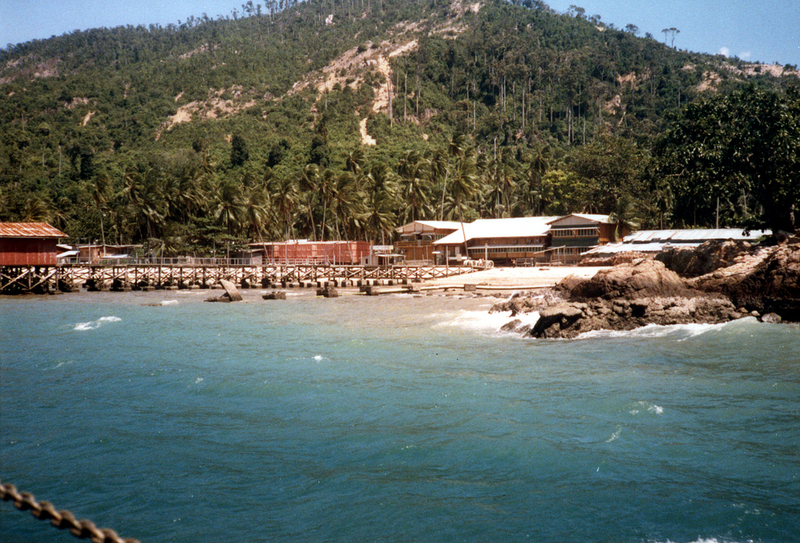 For 15 years, Pulau Bidong was the home to nearly 255,000 refugees from Vietnam fleeing their country. 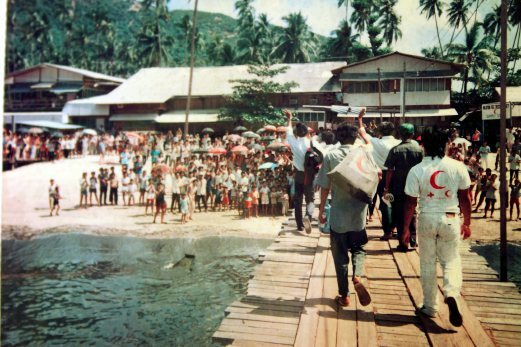 The Vietnamese boat people as we know them today first landed on the shores of Bidong on May 1975. They were a group of 47 refugees that swelled to 40,000 people by June 1979. Long houses were built, schools, workshops, a post office, a hospital, even a stage for music. 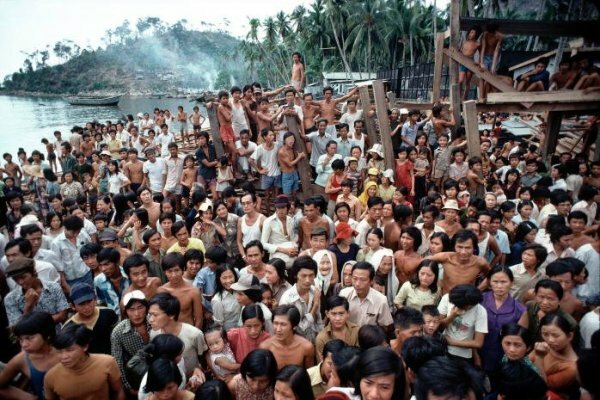 The refugee camp was closed on October 1991 and visiting the island was prohibited till the year 1999 and very little remains that remind us of that harrowing time for the Vietnamese. Some structures have endured the elements (and looters) so it’s not completely barren. There’s no accommodation on the island but there are tour trips here. 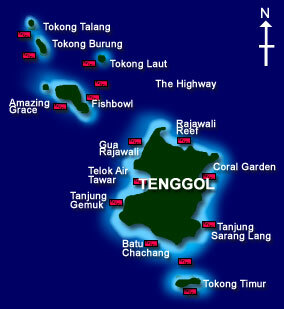 Head here http://www.terengganutourism.com/pulau_bidong.htm and enquire about their tour package. 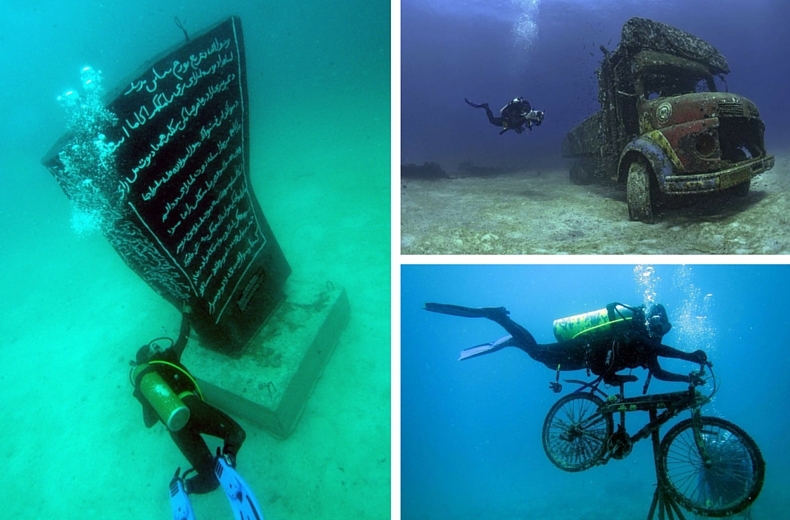 It is also a good place for scuba diving as there is an Underwater Gallery of sorts here and a lot of unspoiled waters due to the lack of tourist. We've come to the end of this list. The holidays are upon us and the waters are clear from April to July, so get in contact with one of these hotels and enjoy your island getaway. The 2018 MITA Travel Fair Is Back – Here’s Your Chance To Go On A Cheap Holiday!